2012 Crownline Eclipse E2 The E2 also has the convenience of an enclosed head compartment, a full walkway aft and a wide extended swim platform - all in a 22-foot, 6-inch length. 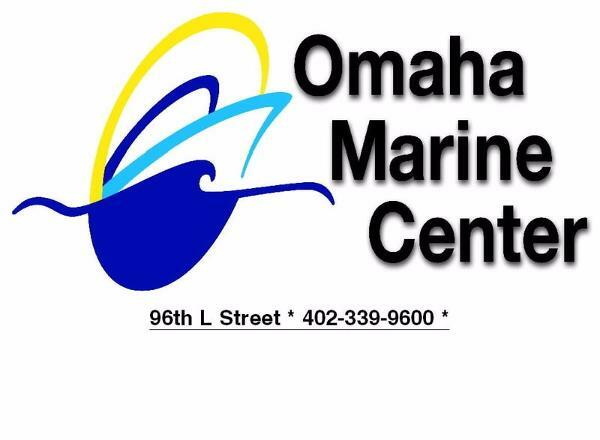 That means a more affordable price tag that’s accessible to more family boaters. 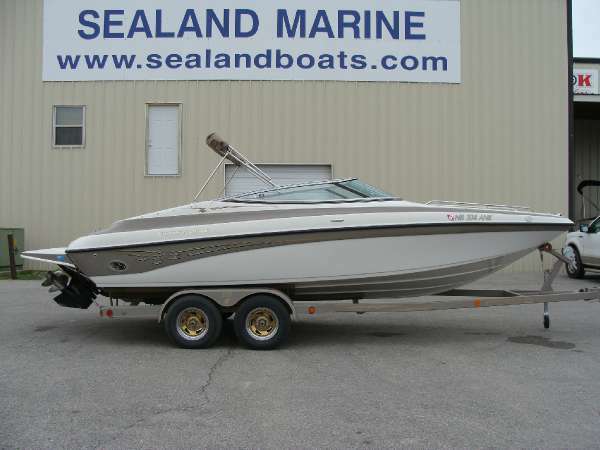 1997 Crownline 176BR JUST ARRIVED! 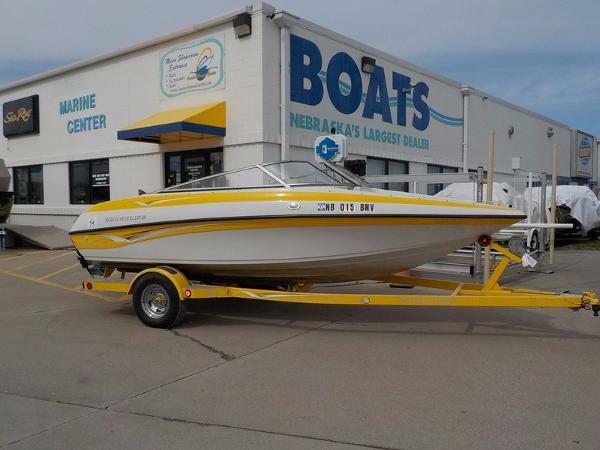 1997 Crownline 176BR 1997 Crownline 176Br in very good condition with Mercruiser 3.0L 135hp and matching custom Prestige single axle bunk trailer with spare tire. Package includes cover, suntop, radio, carpeted floor. Priced higher than Blue Book but well worth it! 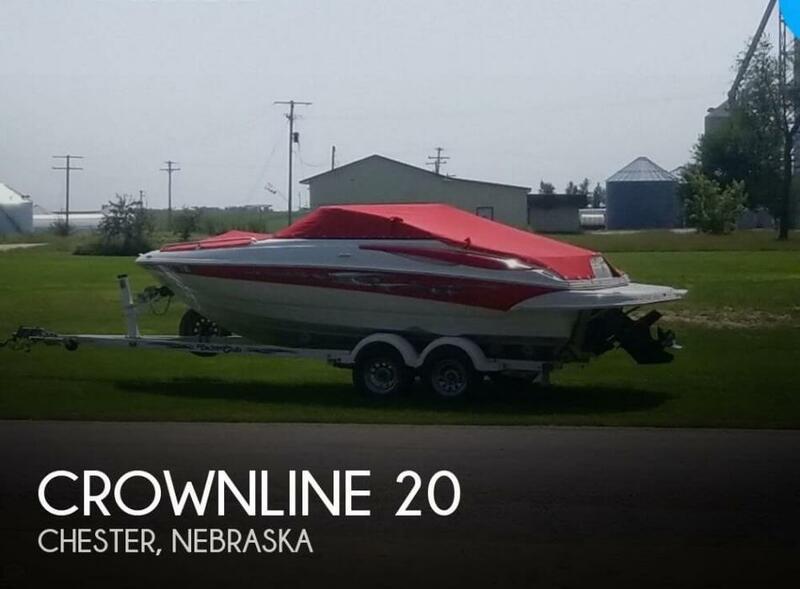 2003 Crownline 230 JUST ARRIVED! 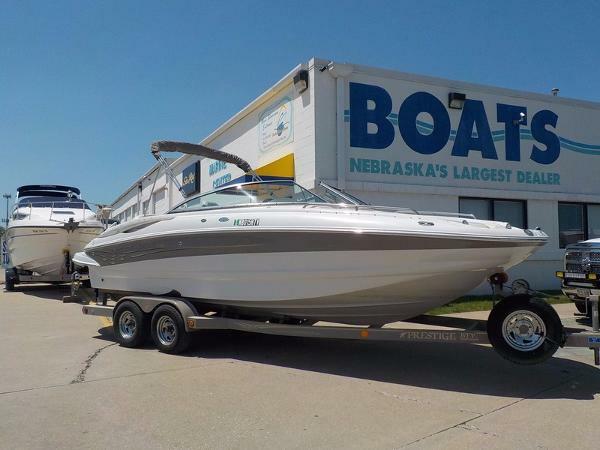 2003 Crownline 230 2003 Crownline 230BR with Mercruiser 350 Mag Bravo 3 drive p with ige tandem axle trailer. Package includes snap-on covers, bimini suntop, snap-in carpets, portable head/. 352 hours. 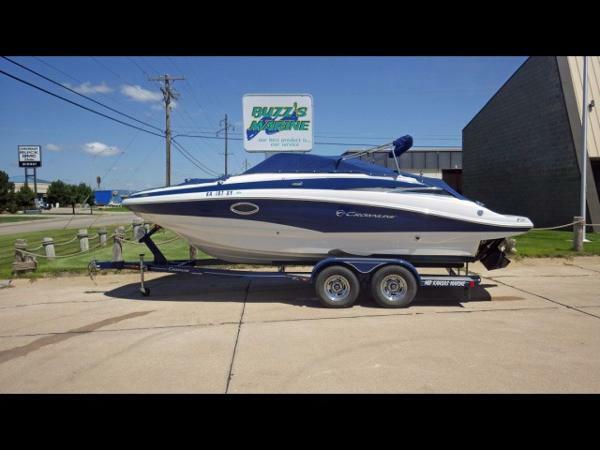 1998 Crownline 225 Great Cabin Cruiser PRICE REDUCED! Hull has scratches but nothing deep (pictured). We put a powerful Chevy 5.7 Vortex in it 8 years ago and there is less than 60 hrs since then as we only had the boat out of the garage a few times every summer. This boat runs like a dream because my brother is a meticulous certified mechanic. We've topped out at over 50mph with plenty of pulling power. A brand new lower unit was added to the stern drive in 2013 and we have a 4 fin stainless prop to go with it. We replaced all upholstery and carpet in 2014 except for the captains chairs in the main cabin. The cuddy cabin is all original right down to the decorative pillows. The toilet has never been used for anything more than a conversation piece! 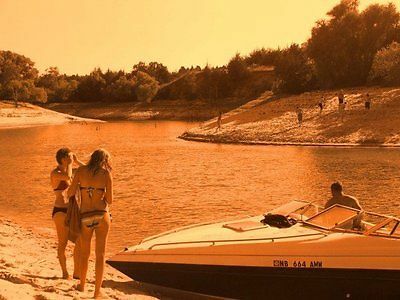 A new Aerial Wake tower was added in 2009 and this Crownline lays a nice wake for all water sports. It has always been in the garage with no pets or smoke. The cabin in the bow is amazing for camping on the lake or on the trailer. It has a table, cushions to form the bed, mood lighting and even a sink. I will deliver this boat up to 300 miles or make arrangements to meet. It is a large boat but travels well on a double axle trailer. 1998 Crownline 225 Great Cabin Cruiser Boat!